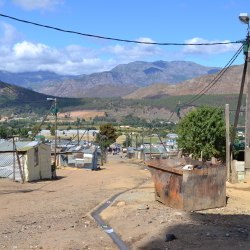 Langrug is a thriving informal settlement that was originally formed by migrant families in the affluent Franschhoek area. 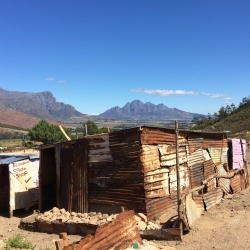 Despite significant challenges, the story of Langrug is one of determined settlement dwellers who have persisted in improving their livelihoods and having their voices heard. 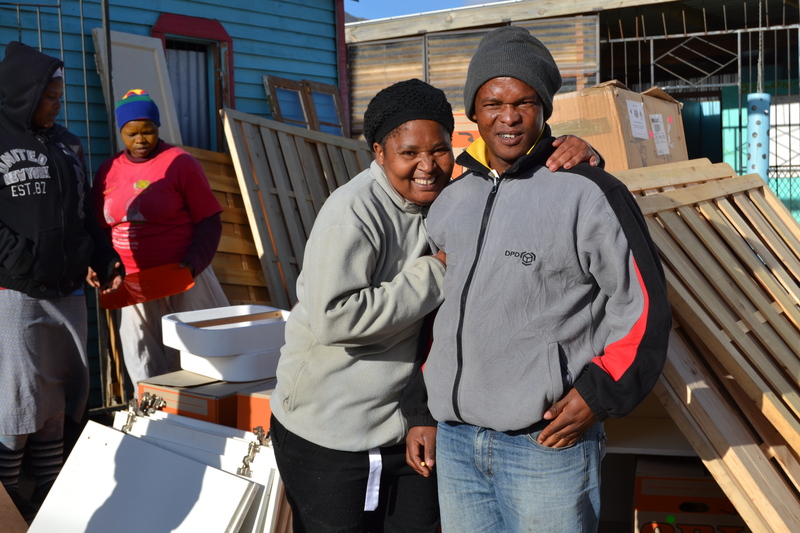 Langrug was first formed in the early 1990’s as rural families moved to the Franschhoek valley to be closer to employment opportunities. 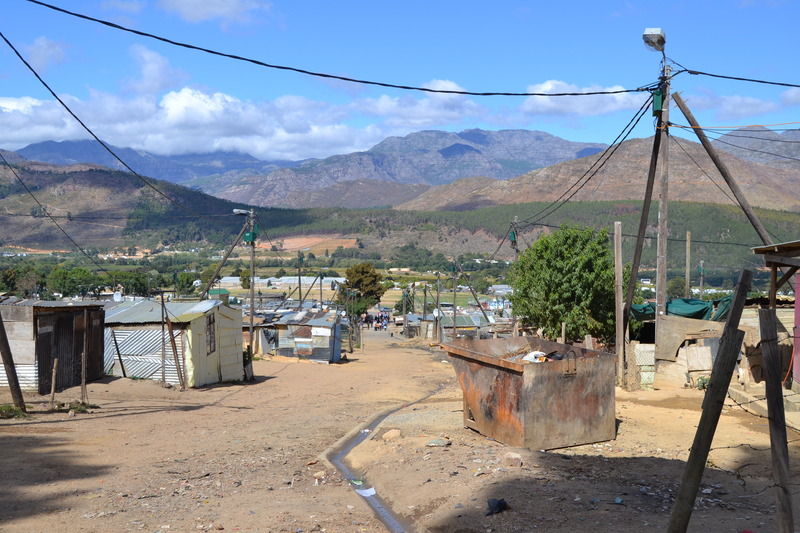 Since the community grew rapidly without basic infrastructure and services in place, its residents did not yet have secure land tenure, thus leaving them vulnerable to forced evictions. 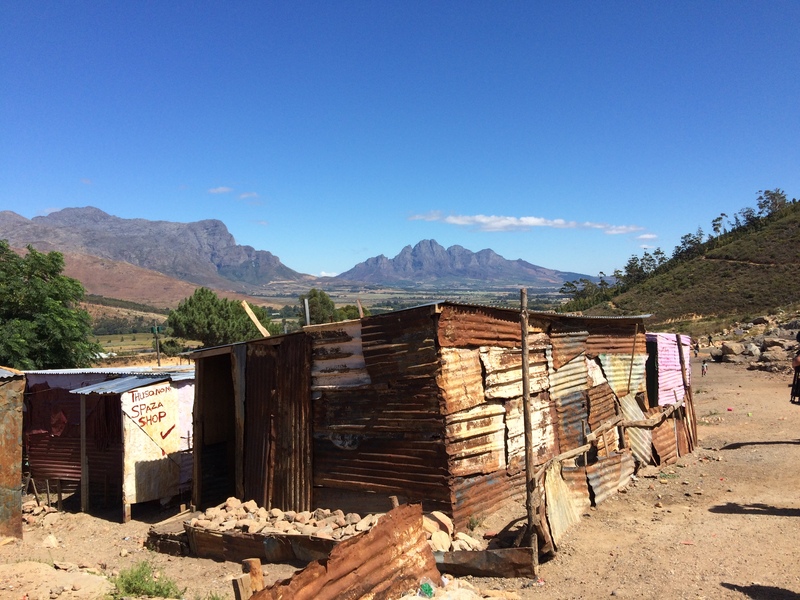 There were no communal toilets, water taps, or accessible roads. 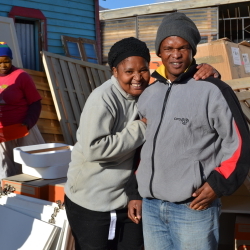 Today the Langrug community is partnering with Habitat for Humanity, several organisations and Stellenbosch Municipality in order to upgrade their settlement in an empowering and sustainable process. 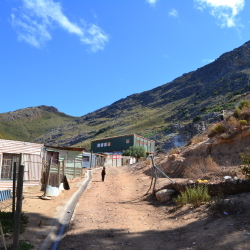 There is a shortage of basic services and shelter in Langrug, so Habitat for Humanity is working with the community, sector experts, and local government to address some of these issues. 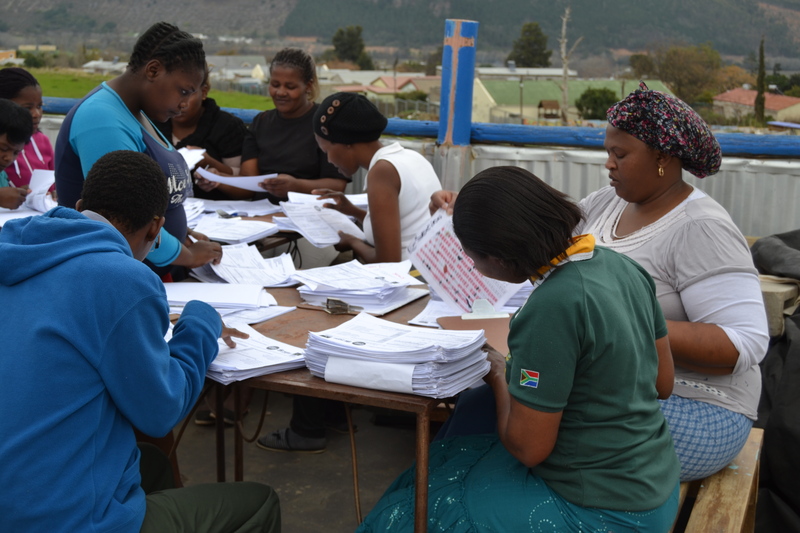 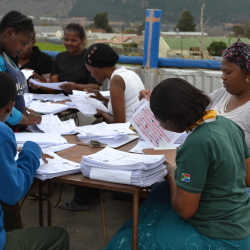 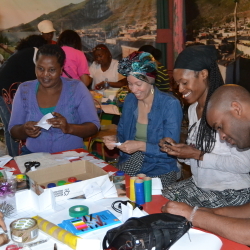 Supported by their partners, the residents of Langrug are mobilising for change. 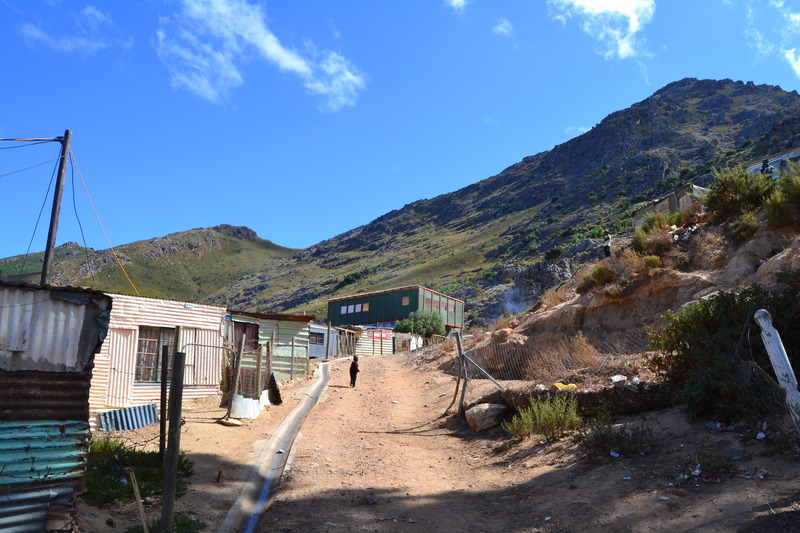 The community is implementing the Langrug Informal Settlement Upgrading Initiative in order to increase the number of functional toilets, improve the sewer system, and create better access to roads and infrastructure. 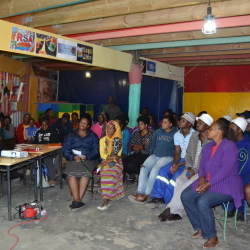 In addition to facilitating sustainable community development, Habitat conducted extensive research in Langrug thanks to funding received from the Ford Foundation. 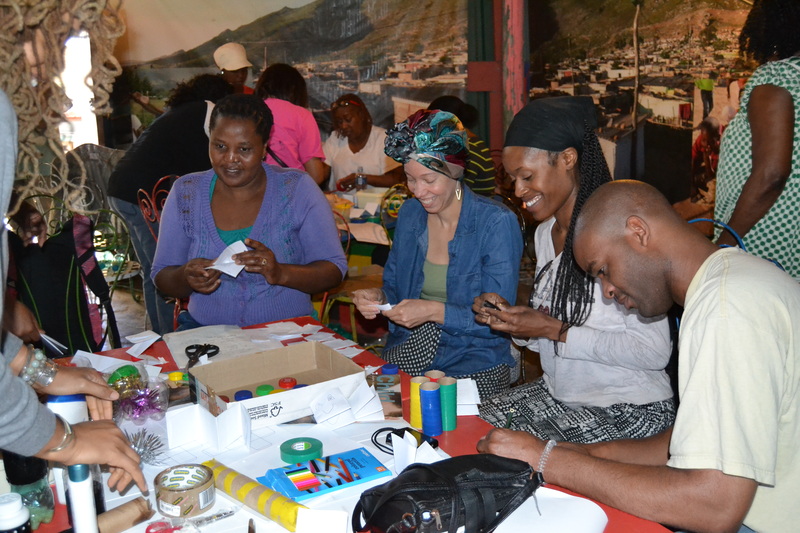 We investigated ways to empower communities, build capacity and knowledge, and bring together stakeholders as partners in the journey to development. 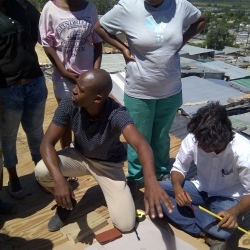 The leadership of Langrug created a dedicated profiling team with the guidance and support of Habitat and other stakeholders. 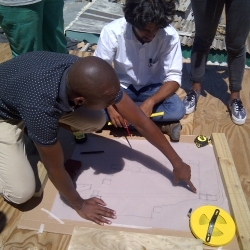 Sourced from within the community, the profiling team mapped out the settlement, its existing infrastructure and its resources. 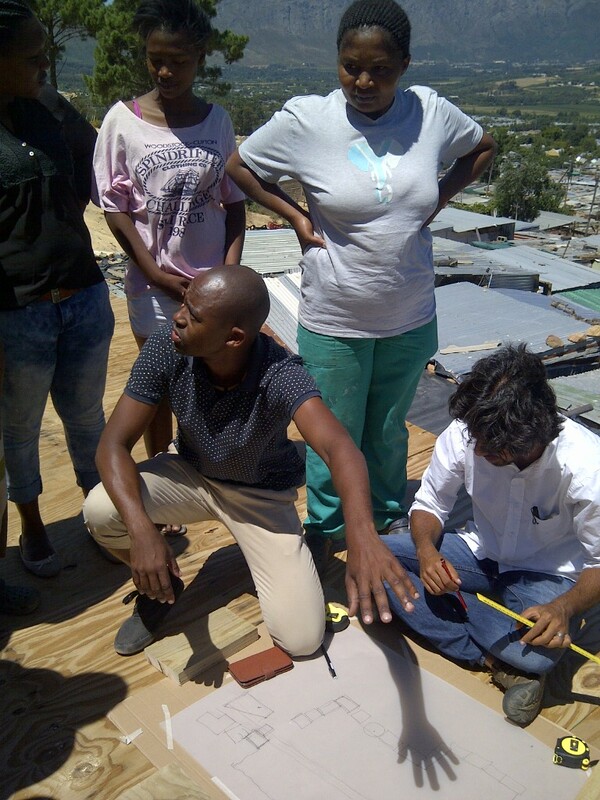 Using this essential knowledge, the community can move forward in the upgrading process. 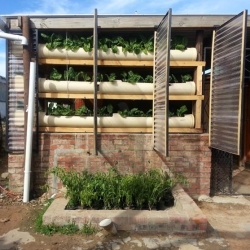 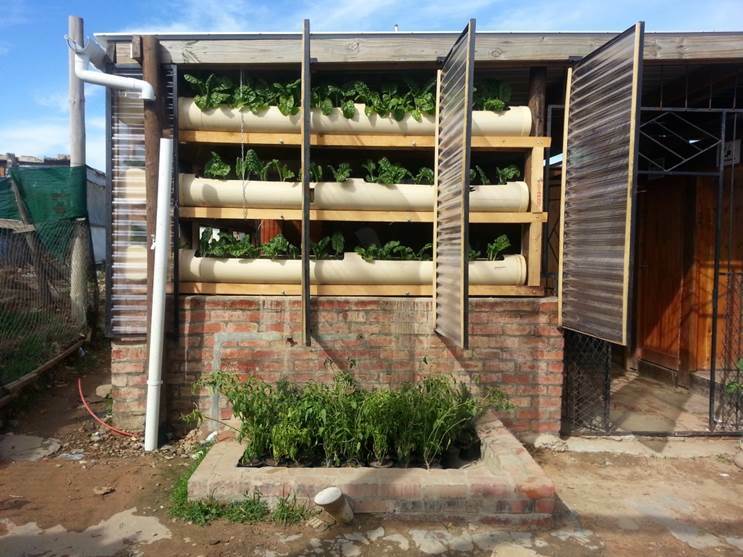 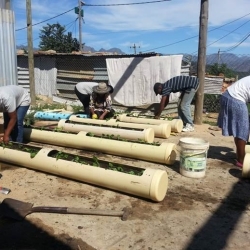 Stellenbosch Municipality upgraded the waterline and pump station, and implemented short-term drainage, water and sanitation solutions. 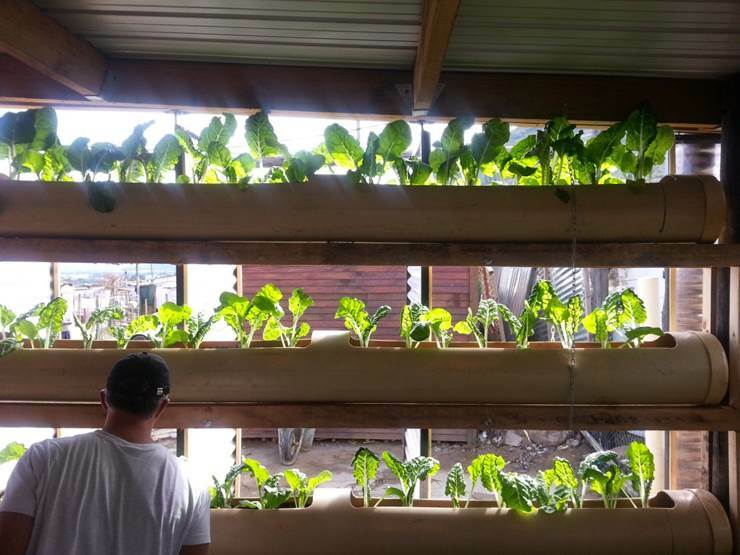 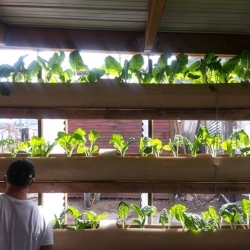 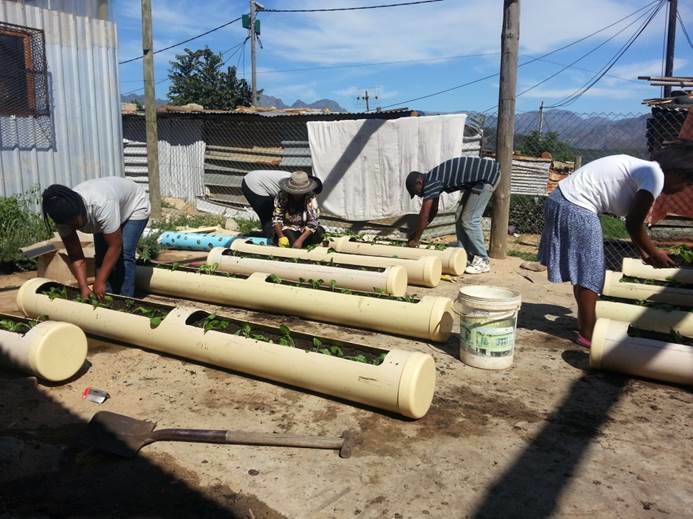 Ncedololuntu, an HIV/AIDS support group, has initiated a greening project around the WASH facility. 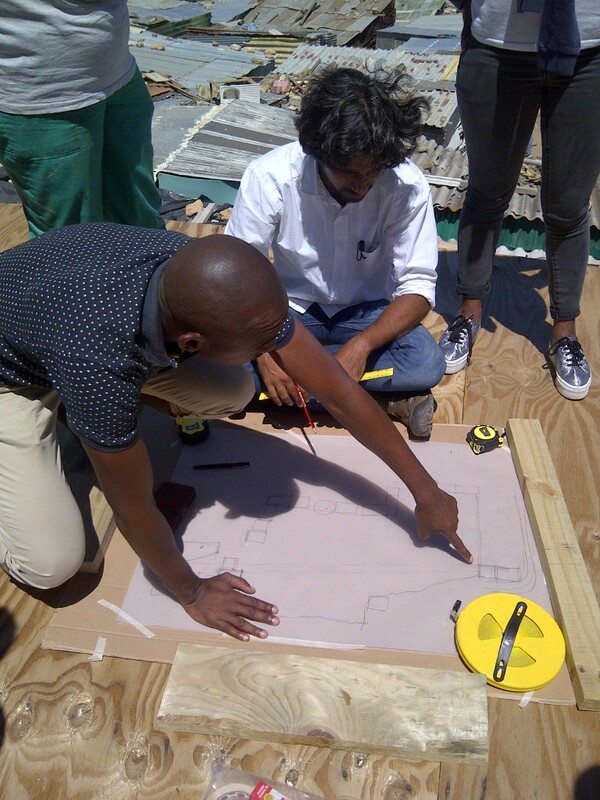 Touching the Earth Lightly led sessions on innovative gardening solutions. 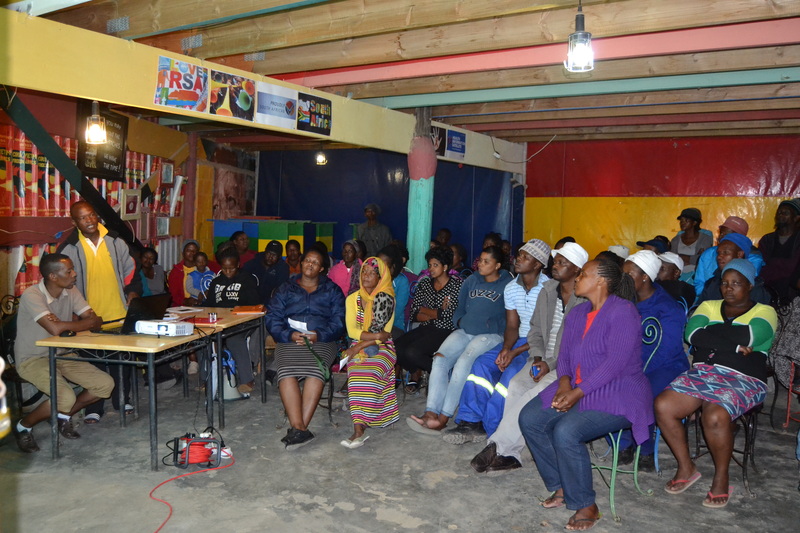 The community leadership and the Informal Settlements Network have started to mobilise the community around savings schemes for a Multi-Purpose Centre.